The season of gift-giving is just around the corner. Still haven’t decided what to give to all the special people in your life? Don’t worry! We have compiled a list of unique gifts that you can browse to pick up the perfect gifts for your loved ones. Whether you are looking for a gift for your family members or for a friend who is difficult to impress, we have covered everyone on your list. Want to give your children or grandchildren a gift that you and they can be proud of? A custom diploma frame is a perfect choice! University Frames offers exclusive and high-quality frames that can be easily customized according to your preference. Explore their list and select the one that suits your style and taste. This copper mug set is perfect for enjoying drinks. Traditionally used for the 1950s cocktail, these mugs can be used for any beverage. They are made of copper and come with a brass-colored steel handle. The interior is also made of copper having a nickel plating. You can personalize these mugs by including a monogram at the center of the mug. Want to boost the spirit of your team this holiday season? Give them printed t-shirts that can be easily designed according to your specific needs. Pro-Tuff Decals helps you select a design from their design studio and even helps you design your own t-shirt for free! Order these custom t-shirts in bulk and get the lowest guaranteed price! A perfect gift for family and friends so they can relive their sweet memories! These custom photo pillows bring favorite family photos to life and add a personalized touch to your living space. Simply upload a picture on CanvasPop, and it will be turned into a custom pillow that comes with a removable cover and is easy to clean. Nothing can be more special than custom gifts with initials or personal messages engraved on them! Blue Ribbon Trophy offers customized gifts such as wine bottles, clocks, keychain sets, flask sets, and keepsake boxes with laser engraving services. Explore and order the ones that are perfect for your family or friends. An excellent gift that helps showcase precious and wonderful memories! This personalized photo frame, made up high-quality wood, has an easel back design for table display or can also be wall mounted. 4 lines of text can be included in the frame to capture a memorable moment. Looking for a special gift for a pool lover? A custom pool cue stick with initials engraved on it makes a perfect gift! A & C Billiards offers a wide range of cue sticks that are of the highest quality and show superior craftsmanship. Explore the list and choose the one that best suits your style and budget. Visit the A & C Billiards store or check online for attractive discounts. A perfect gift for moms and grandmas! Crafted of fine-quality stoneware and featuring traditional design and ribbed detail at the base, this exclusive cookie jar will fill her heart with love. It is beautifully designed with a heart in which you can include up to 8 names of your choice. Make the true spirit of the holiday season come to life by passing these personalized gifts to everyone on your list! 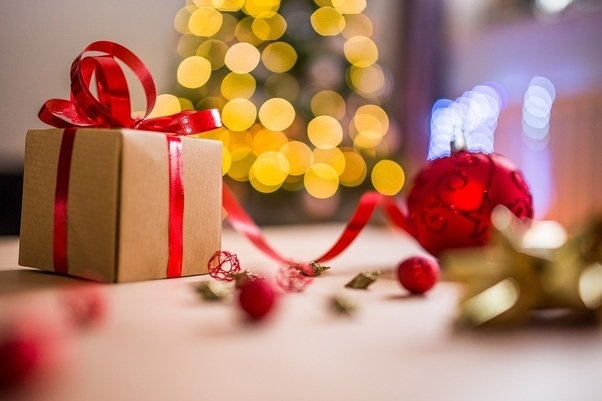 Want to buy these gifts for your loved ones but running short on cash? Get an online payday loan! Just fill our easy and secure online application form and once approved, get money directly in your bank account the next business day. Apply Now!